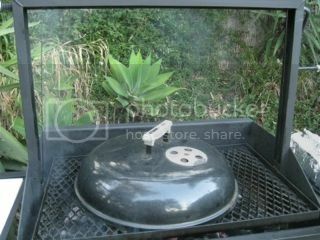 A couple of friends came over last weekend, and we did BBQ with our Santa Maria BBQ Grill. 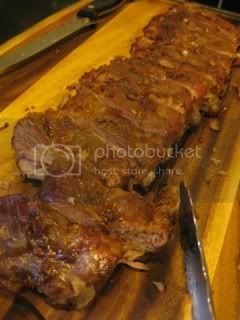 The main course was baby back ribs. 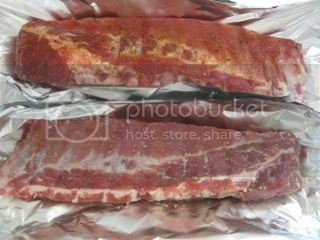 I got two racks (about 4 pound total) and removed the silver skin and trimmed excess fat first. 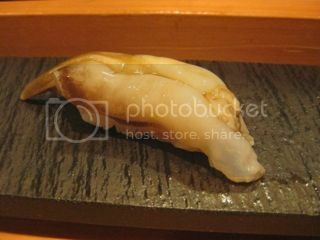 Then, marinated one with shio-koji and the other with yuzu shichimi salt for overnight. 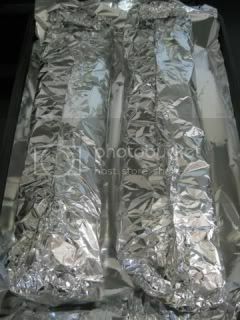 For the shio-koji marinated pork, gently wipe off the marinade with paper towel once it's taken out of refrigerator. 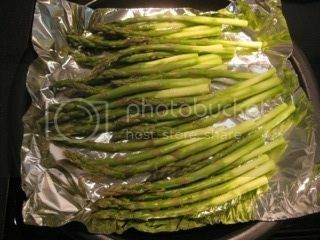 They were wrapped in double-layer aluminum foil and roasted at 325F (about 160C) degrees for 2 hours, and rested (covered) for 1 hour. Meanwhile, I got the basting sauce ready. It's so simple and so tasty. I whisked together 1/4C (60 ml) red miso (I used my 2-yr-old homemade miso), 1/2 tablespoon each grated ginger and garlic, 3 tablespoons homemade plum syrup (can be substituted with honey), 1 tablespoon sesame oil, and juice from half lime. 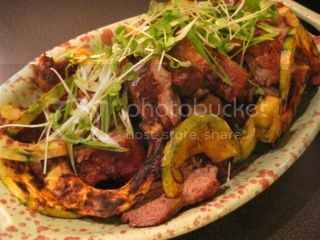 I also added a couple of table spoons of cooking juice from the pork. 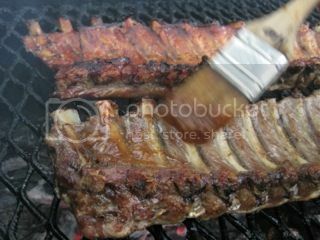 Baby Back Ribs were put on the medium-heat grill and cooked with the lid on for 8-10 minutes. 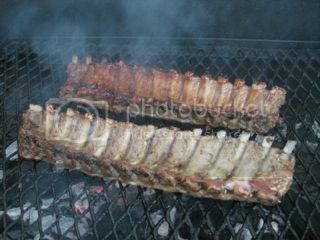 Both sides were brushed with the basting sauce a few times meanwhile. 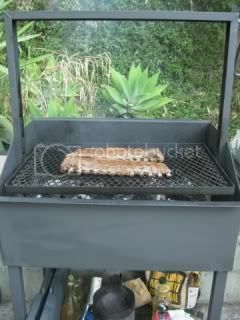 The meat was so tender! 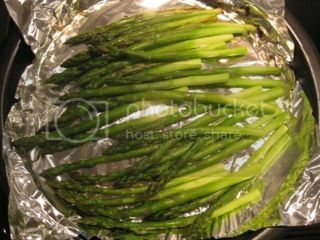 They were cut and served with grilled kabocha pumpkin, donabe corn rice (cooked in double-lid donabe rice cooker, "Kamado-san") and brussels sprouts salad. Wonderful BBQ night under the full moon in our patio. Making donabe cooking video has been on my donabe "to do" list for a long time, and finally I'm on it. 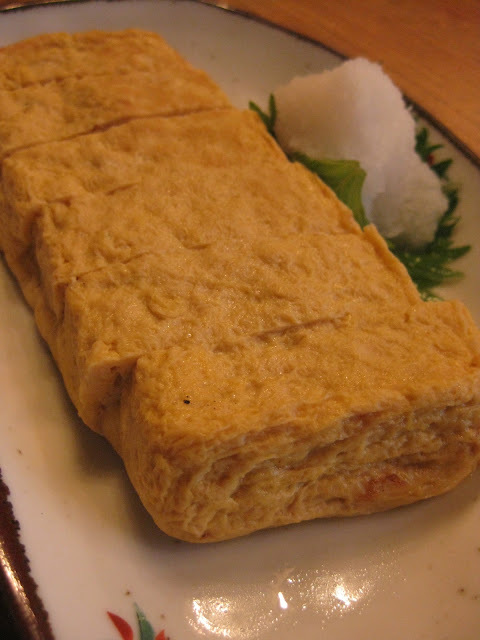 We have created "Naoko's Happy Donabe Life" YouTube channe. 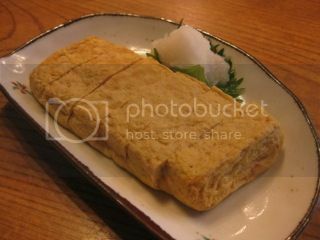 The channel is about donabe cooking and we want to show recipes of easy and tasty Japanese dishes by using different kinds of donabe. These are the very first 2 videos. 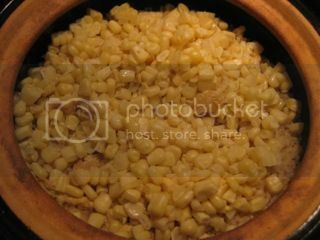 One is our most basic...how to make plain rice with donabe. The next video is Chicken Ginger Rice recipe. 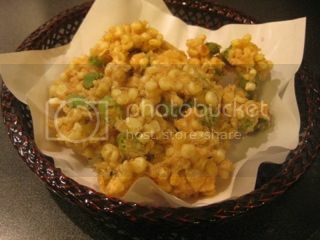 It's a very popular dish among my friends. 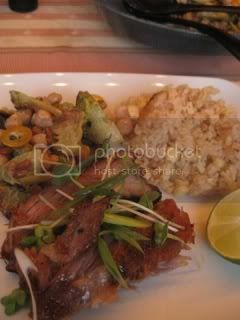 You can also find the written recipe of Chicken Ginger Rice here. We want to keep adding more videos in the future, so please subscribe to the channel and stay tuned! Hope my video presentation skill will improve in the new videos...I will do my best. I also wanted to share another video. Our donabe and myself has been featured by The Grommet. 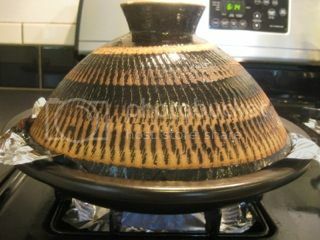 Additionally, we have upcoming donabe cooking class schedule just announced. You can find more details and sign-up from toiro's website here. I came back to LA after a fun 2-week stay back in Japan. Every 3-4 months, this is the scene after I return from Japan and unpack. This time, on top of what's on the table, I got a big box of 3 sets of nice summer bowls and plates, which was shipped from Kyoto to LA. Jason said he missed my Japanese cooking so much while I was away. I was also ready for a humble home dinner after all the eating outs past couple of weeks. 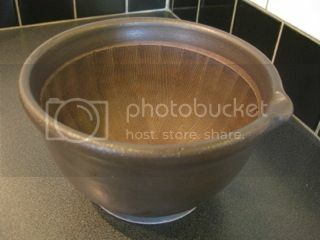 This "suribachi" (mortar) is the same kind the shojin cooking teacher was using at her 350-year-old temple in Tokyo. She told me where I can find it, so I bought it and hand-carried all the way back to LA. It was really heavy! But, it's just so gorgeous. 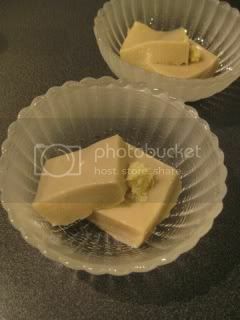 So, the first thing I made with was, of course, Goma Tofu (sesame tofu). I got Jason's help to ground the sesame...we kept grinding non-stop for 50 minutes. The Goma Tofu was served in the new summer bowls. 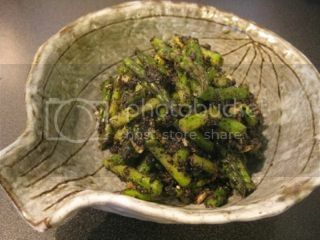 I steam-roasted asparagus in my tagine-style donabe, "Fukkura-san", to make a simple side dish with sesame miso sauce. Yes, I used my brand new mortar again for this dish. 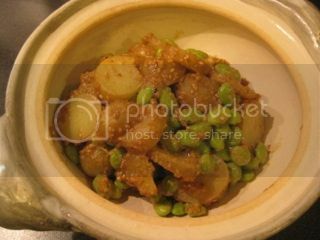 Another side dish was baby potato and edamame in peanut sauce. 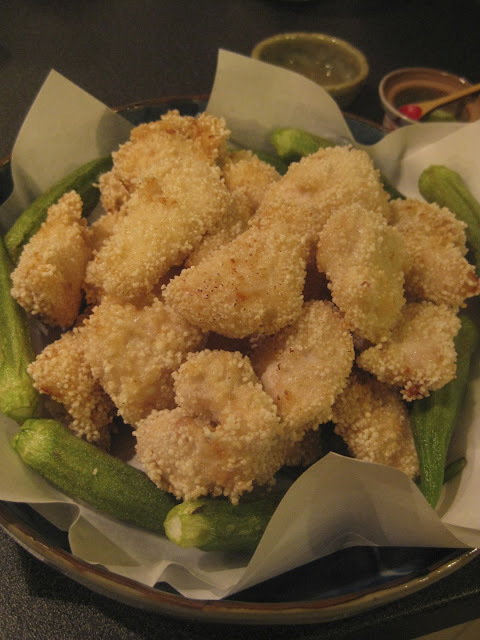 Two kinds of fried dishes...Corn and okra "kakiage" tempura, and "Shinbikiko" chicken tender "kara-age". 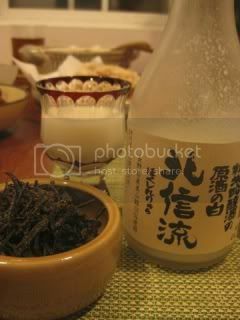 Junmai Ginjo "Hokushinryu" Nigori sake from Nagano prefecture was so mellow and soft. 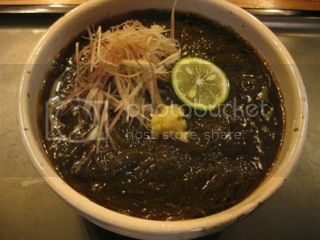 We also had "Matsuba kombu" (thinly-sliced braised kelp, seasoned in ground sansho peppers) from Kyoto, and miso soup, plus of course, donabe rice! 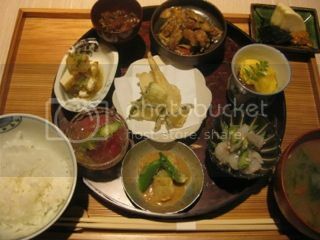 Sunday supper at a local sushi restaurant in Urawa. 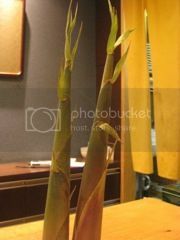 Among all the seasonal vegetables, I picked very rare and short-seasoned “Daimyo-dake” bamboo shoot, kinshin-sai plant on skewers, and purple asparagus to grill. Beautiful. Tons of sashimi. 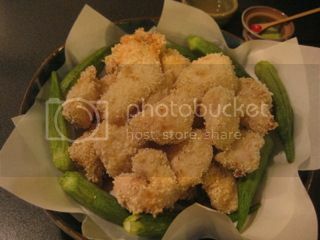 Junsai with prawns. Rosted duck and raw “mizunasu” eggplant salad. And, tons of sushi and sake. Always so good and so satisfying here. Gochisosamadeshita. 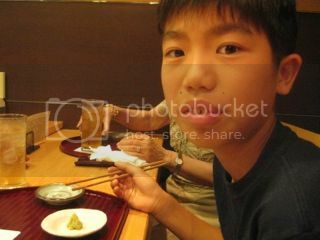 My nephew, Wataru, loves sushi. 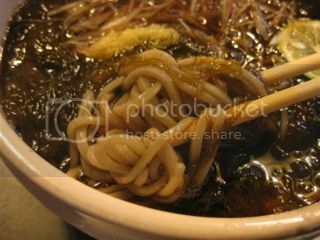 I had mozuku seaweed cold soba. Tons of slimy mozuku seaweed with thinly-sliced myoga, grated ginger, and kabosu citrus slice. Fantastic. 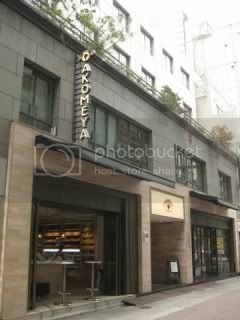 I met a friend of mine at a newly-opened Akomeya Tokyo in Ginza for lunch. 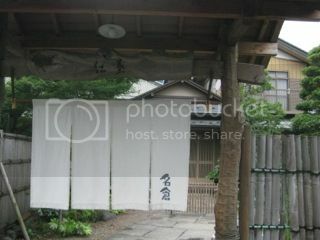 It’s a rice-themed shop and restaurant. 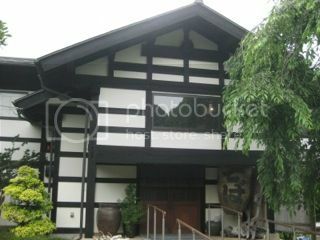 On the first floor, they have a sake bar, artisan food and drinks, and a restaurant. 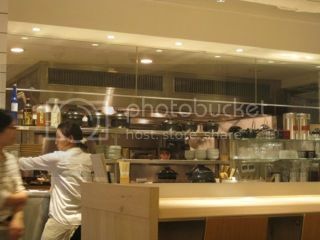 The upstairs has artisan kitchen and dining ware. The selection is very impressive! We took a table at their restaurant and chose today’s lunch set. 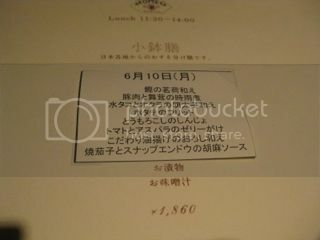 There were fresh bonito and ginger bud salad; pork and maitake mushroom stew, mizu-dako octopus with okra and spicy cod roe, scallop fritter, corn dumplings in a light sauce, tomato and asparagus in gelee, fried tofu pouch and grated daikon salad, grilled eggplant and sugar snap peas in sesame sauce. 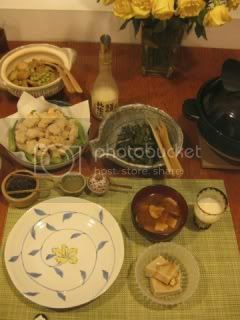 These small dishes came with pickles, miso soup, and premium koshihikari rice, cooked in double-lid donabe rice cooker, “Kamado-san”! 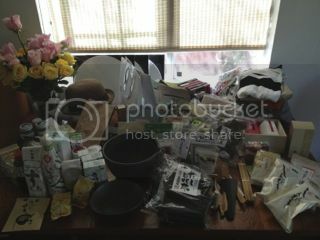 For all these plus hojicha tea, it was only ¥1,860 (less than $20) all inclusive. Amazing deal for both the quality, volume, and service. I wish I could come here for lunch every day.